As the seasons unfold through the year, your energy shifts to mirror the natural rhythms around you. Spring freshness inspires the birth of creativity and the germination of seeds of ideas. Summer radiance turns these ideas and inspirations into action. In Fall, you are in a safe, productive state of mind, enjoying the harvest of your labors. Winter is a time for hibernation, a chance to let go of things that are wearing you down. Including seasonal foods in your meal plan can help you live in harmony with this natural order. To celebrate the solstice, cornmeal pancakes is a perfect dish for an outdoor summer breakfast with loved ones. 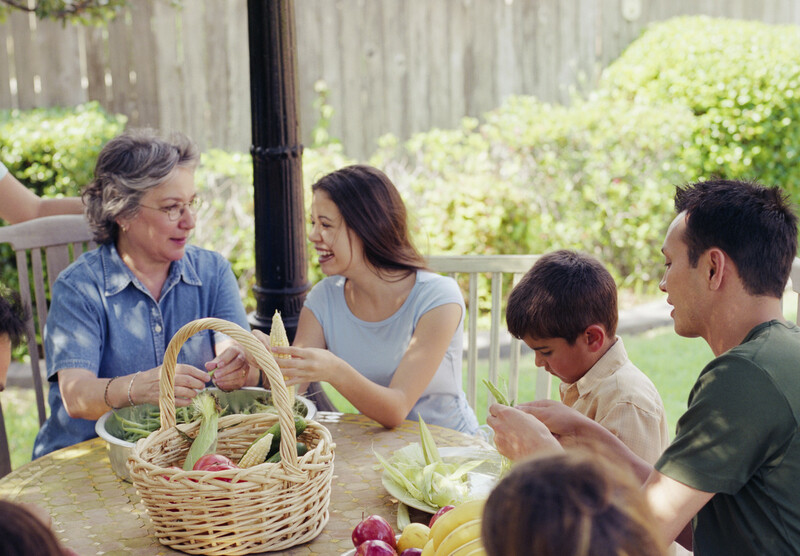 Upward, expansive energy of corn and other summer foods can help you develop more nurturing, loving relationships. Corn contains fire energy, which fuels the flame of passion in the heart, expanding its capacity to experience joy and love. Corn’s energy also balances the heart’s ability to regulate mental activities and relieve stress. This allows you to open your heart to give and receive love. Combine spelt flour, baking soda, baking powder, and cornmeal in a large bowl. Combine rice milk, kuzu, vanilla, brown rice syrup, and 2 tablespoons olive oil in a small bowl. Stir liquid ingredients into dry ingredients until just mixed. Heat 1 tablespoon olive oil in skillet over medium heat. Pour three tablespoons batter onto hot skillet and cook until brown on bottom. Flip pancake over and brown other side. Remove pancake to plate. Repeat with remaining batter. Oil pan between pancakes to prevent sticking. Categories: All, macrobiotics, nature, recipe, Seasons, summer | Tags: pancakes, solstice | Permalink.